Automatic, 17 inch wheels, air conditioning, airbags (front and side), black interior, blue exterior. GCC spec Toyota FJ Cruiser, white SUV/Crossover with black interior. It features fog lights, 17 inch wheels and power locks. GCC spec 2017 Toyota with CD player, 17″ wheels and Climate control. Price reduced! Black SUV/Crossover with black inside. It has MP3 interface and power windows and has 17 inch wheels. Automatic Imported spec Toyota FJ Cruiser with 17 inch wheels, alarm, airbags (front and side), black interior, blue exterior. Reduced price! White Toyota FJ Cruiser GCC - TOYOTA FJ CRUISER - 2013 - 1 YEAR WARRANTY from 2013 with black interior. Automatic, 17 inch wheels, rear camera, ABS, black interior, black exterior. Price: AED 69,700. 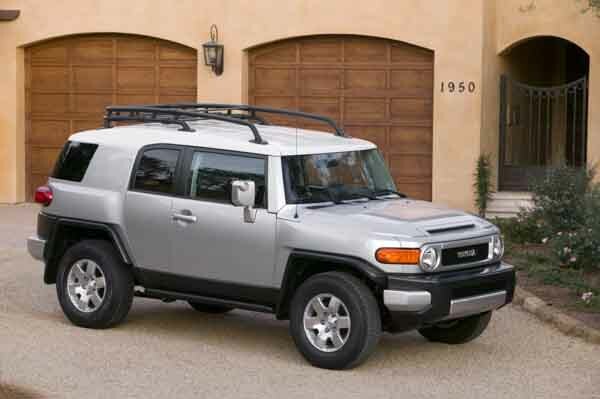 2008 Toyota FJ Cruiser with features such as ABS, 4WD, power windows. It has grey interior and is Grey/Silver. GCC spec. What are our customers saying about the Toyota FJ Cruiser for sale in Dubai. Greg - I sold my Wrangler to buy a second hand FJ Cruiser V6 GXR. Got it at a good price and although the interior specs aren’t the best when it sniffs the sand, it’s off like a rocket. Perfect car for the UAE as it can tackle both the desert and road. Pros: V6 power and fuel economy. Tariq - My import pre owned FJ Cruiser Extreme is just the best, my friends always want to drive it when we go offroading. Even though it’s not big, there is plenty of room for camping gear and luggage for a road trip. From what I have seen, resale value is high meaning If I need to sell it I can easily find someone to buy it. Pros: Space, V6 power, unique look and price..
Imran - FJ Cruiser TRD is great cars for Dubai. Transitioning from the mall to the desert is seamless, and I can fit my family inside with ease. The rear doors can be annoying at times, but it keeps the little ones inside. Pros: Offroad capabilities, power and style. Finding someone to buy a used Toyota FJ Cruiser for sale in Dubai, UAE is easy considering how popular the brand is across the GCC. And due to its popularity, parts are easily found around the Emirates. With a V6 motor and short wheelbase, navigating the dunes is a simple task. Nothing on the road can compare when it comes to styling. 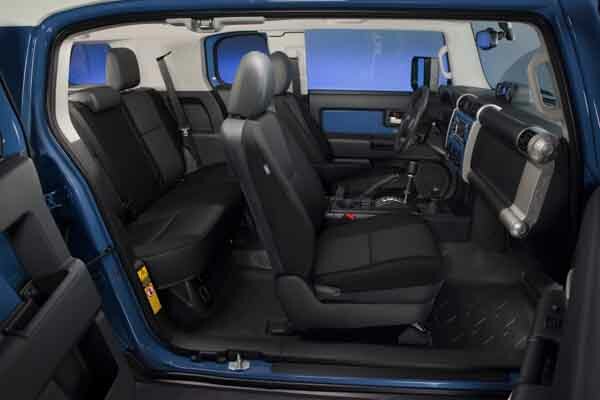 Although the interior seems spare, it’s got everything you need: cup holder, radio tuner and cruise control. 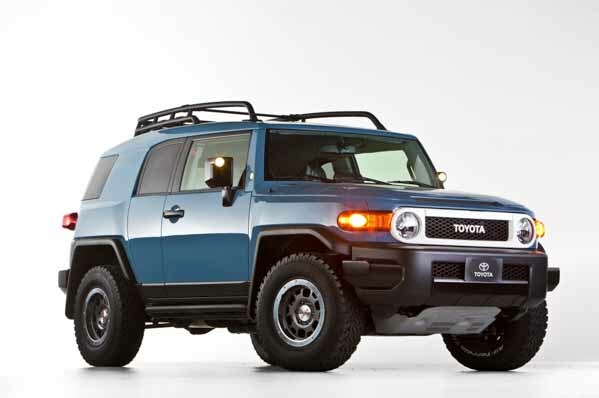 Launching as a 2006 model in 2005, the FJ Cruiser borrowed many styling cues from the J40 series of Land Cruisers way back in the 80’s. Based on a Prado chassis, this vehicle was an instant hit in not only the UAE but export markets such as Australia, North America and South Africa. Unfortunately, 2014 marked the end of the cars run although it was still built for the GCC and Australian markets due to its popularity. Rolling out of the factory as a 2006 model, it took the vehicle two years to move into the GCC as it debuted here as a 2008 model. With unique retro styling which is instantly recognisable from the front end with its white front grille-mounted in front of black mesh. Round headlights complete the look on each end and in case you wanted to keep the front end from damage during off-road treks, a metal brush guard or bull guards were made as an optional extra. Around the back is a single unit door that swings out. Some models would have the spare wheel mounted here while others were left bare. Models that didn’t feature a white coat of paint usually had white roofs with later models being readily available with matching colour or black painted top halves instead. To enhance the vehicle's unique look, the rear doors were shrunk and instead of opening like the front doors, they would swing open (suicide doors). Interior and exterior options depend on what trim levels or features were ticked off when purchased. Radio tuner, black fabric seats and air conditioning all came as standard, whereas options such as Bluetooth, cruise control, reverse camera, rear parking sensors, premium sound system, media inputs and powered accessories came as extras. Throughout the years, all models were equipped with Brake Assist, Anti-Lock Brakes, Vehicle Stability Assist and a single 4-litre V6 engine mated to either a 5-speed automatic or 6-speed manual gearbox. Additionally, minor changes were made to the appearance over the years both inside and out. TRD Special models were made available with a black coat of paint with matching roof, 16-inch rims on each corner covered in off road rubber, unique badging, off road ready shocks and slight revisions to the vehicles mechanics for a finely tuned experience. Trail Teams models released every year starting in 2008 and year after year they were coated in unique shades of paint including Cement Grey, Heritage Blue, Army Green and Sandstorm. Except in 2009 where there was no unique colour palette available. To set it apart from the regular models, Trail Teams have similar mechanical specs to the TRD along with similar features. Around 2,200 of these models were built over the years.